The construction industry is known for its waste of money and materials, low innovative capacities, and low productivity (Cox and Thompson, 1997; Vrijhoef, 2011). One reason for that inefficiency is the antagonistic relationship between clients and contractors (Tazelaar and Snijder, 2010; Vrijhoef, 2011). Clients often use competitive procurement and selection procedures to select contractors (Boukendour and Hughes, 2014). These procedures are expensive and time-consuming both for the contractor and the client. The contractor does not necessarily earn back this investment, since there is a chance that he will not be given the assignment. Therefore, sometimes contractors feel a need to bid unrealistically low, sometimes even below the cost price. Often throughout the realization of the project, failures accumulate and may accordingly result in a heavier workload, higher costs, longer project duration and lower quality. For decades, attention has been given to supply chain partnering (SCP) in the construction industry, as a promising strategy to decrease this waste of time and money and increase quality (Boukendour and Hughus, 2014; Bygballe, 2010; Eriksson, 2015; Hong et al., 2012; Vrijhoef, 2011). Lessons learned about SCP from other industries cannot be transferred to the construction industry, since the construction industry is, unlike most other industries, characterized as informal, fragmented and project based (Vrijhoef, 2011). There is no unified agreement on what SCP exactly incorporates (Bresnen and Marshall, 2000a; Bygballe, 2010). In practice, the word SCP is used interchangeably with its synonyms, such as supply chain collaboration, partnering, construction partnering, and supply chain integration. However, an often-used definition is “A long-term commitment by two or more organizations for the purpose of achieving specific business objectives by maximizing the effectiveness of each participant’s resources. This requires changing traditional relationships to a shared culture without regard to organization boundaries. The relationship is based on trust, dedication to common goals, and an understanding of each other’s individual expectations and values. Expected benefits include diminishing deficiency and promoting cost-effectiveness, increased opportunity for innovation, and the continuous improvement of quality products and services’’ (CII,1991, p.iv). The attention that practitioners as well as scholars have paid to this topic, indicate a general belief in the added value of SCP. Despite this level of attention and the strength of this general belief, Smyth (2010) and Fernie and Tennant (2013) both argue that the adoption of SCP in the British construction industry is low. According to Gottlieb and Haugbølle (2013) the effort that has been put to apply SCP in the Danish construction industry only lived up to the expectations to some extent. It is questionable whether and to what amount SCP has been adopted in other countries. Many studies about SCP in the construction industry are published (Bygballe, 2010; Hong et al., 2012). A literature review that was conducted as part of this PhD-process (section 2) shows that between 2010 and 2015 176 peer reviewed articles about this topic were published. Various aspects of SCP have been studied, such as different forms of contracts, risk allocation, and planning issues. Moreover, the social aspects of SCP have been addressed, such as increasing mutual trust, leadership and communication issues. Assumptions about the nature of construction partnering research circulate. Examples of such assumptions are that construction partnering research is abstracted from daily work practice, prescriptive, and focused on technical managerial aspects of SCP (Bresnen, 2010). According to Phua (2013) the individual level of analysis is underexposed. That means that individual experiences have been averaged away in an attempt to develop a general theory (section 2 studies the nature of qualitative construction partnering research more closely). In this plethora of aspects and perspectives of SCP that have been addressed, one understanding of SCP that seems to gain popularity, is that it should be considered to be a fluid concept (Gottlieb and Haugbølle, 2013) or emergent practice (e.g. Bresnen and Marshall, 2002; Bresnen, 2007; Bresnen, 2009). The word ‘emergence’ in an organizational context is rooted in, for example, Mintzberg et al. (1997) who distinguishes between deliberated and ‘emergent strategies.’ Whereas deliberated strategies are deliberately designed and implemented by managers, an emergent strategy is formed in daily practice where professionals together in many daily formal and informal interactions form all kinds of patterns and routines. Therefore, an emergent strategy is dynamic, fluid and is highly time and place dependent. Whereas a deliberated strategy points towards the future and focuses on what should be done, an emergent strategy looks back to the past and focuses on what already is done. Stacey (2011) calls this ongoing process of interaction that forms the strategy as it is ‘complex responsive processes’. Because an organization is shaped through these ongoing complex responsive processes, plans, ideas, models, etc. that are designed to control the ongoing complex responsive processes would be a myth and only provide an illusion of control. Stacey (2011) argues that although managers may try to deliberately design and implement a strategy, that deliberately designed strategy will never be applied one-on-one in daily work practice, no matter how well considered the strategy is designed. Stacey (2011) argues that all plans, designs, step-by-step plans, blueprints, etc. are just one of many ‘gestures’ that people at work floors receive. These plans only partially influence complex responsive processes in which the emergent strategy is formed. The dominant ways of thinking about organizations are all variations on a triangle-shaped model that represents strategic, tactic and operational level. This triangle-shaped model represents a false image of how organizations come about (Stacey, 2011). SCP as an emergent practice means that it is not considered a blue print, but that the new way of collaboration is formed in many daily work floor interactions between professionals that constantly negotiate and give shape to their new daily work floor routines. The management strategy is just one of many gestures that may influence new ways of collaborating with each other. All professionals with their own frames of reference, interests, history, competences and personal character constantly negotiate and together create the patterns as they are. Therefore, studying SCP as an emergent process means that these ongoing complex responsive processes need to be studied at an individual level of analysis to not average away the individual experiences. Studies that dig deeper in those work floor practices of SCP in construction industry do not exist yet. There is no insight in what people actually do in their daily work practice and how they form a strategy such as SCP. Without having this insight, it is impossible to intervene in an efficient and effective way, nor for the managers, neither for other professionals in the field. Focusing on daily work floor experiences of professionals in the field, may lead to fresh insights as to how people in the field contribute to the situation as it is and how in the future, they can intervene more effectively with the purpose for smoother collaboration, decrease waste of time and money and increase quality. 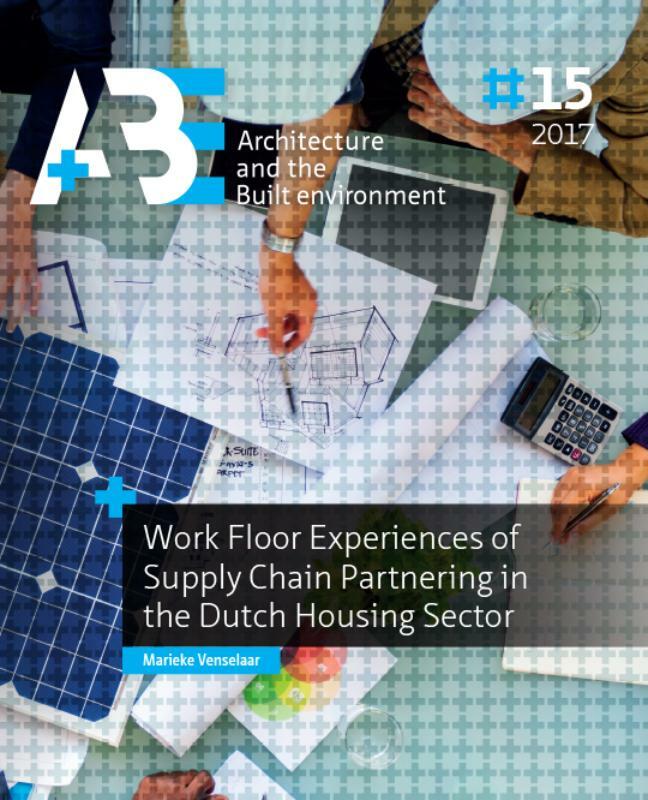 This study aims to reflect on experiences of professionals from a Dutch housing association and a contractor who perceive their relation as a successful supply chain partnership (SCP). Employing a narrative approach, this study shows the subgrouping in informal relations within and around the successful supply chain. The subgrouping shows examples of visible and hidden power dynamics. We conclude that, although the perception of success may have positive spin-offs, the members are not always positive about each other, SCP is applied to only a limited part of the client’s internal supply chain, SCP is applied in an arbitrary way that not always seems to be fair, and continuation of the success in the future is uncertain. The study provokes many practical interventions, but the main recommendation is to keep reflecting on informal relations to address some of the social issues.